These 8x6 log cabins are perfect for more compact gardens. 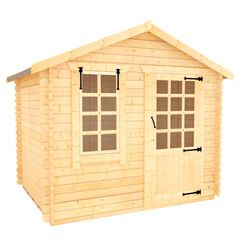 They're manufactured from premium grade, 19mm interlocking logs and are made to order in the United Kingdom. These log cabins feature a stylish opening window and antique fittings, for a building that is practical as well as attractive. 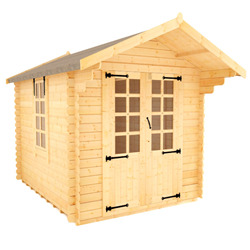 These log cabins are perfect for smaller budgets, and are delivered free throughout mainland Great Britain.